Though most may think that Iowa is a boring fly-over state in the Midwest filled with nothing but rolling plains and cornfields, there are a few things that we bet you didn’t know about the state. One of the weird facts we discovered is that there are more hogs in the state than people. Ever heard the saying, it’s the greatest thing since sliced bread? Well, in 1912, Otto Fredrick Rohwedder created sliced bread in the Hawkeye State. Until recently, there was one thing that Iowa was certainly not known for, though: custom trucks. 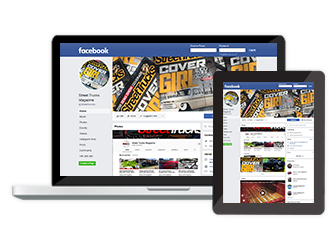 In an ironic twist, Stoner’s Speed Shop has been putting Iowa on the map of late. 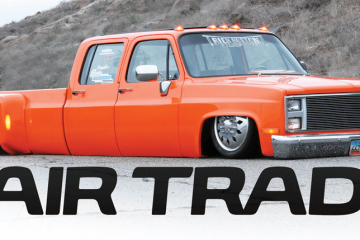 Owner Blake Stoner will attest that even though he specializes in making wicked low trucks, there are very few of them in the surrounding area. So how did this all happen? 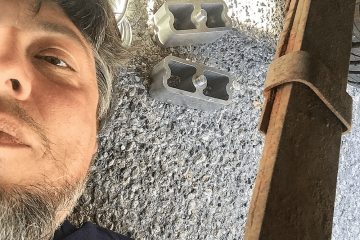 Like most of us, Blake developed his passion for trucks by helping in the family garage. He wound up making a living doing oil pipeline work, but ultimately decided he wanted to pursue his dream of building custom vehicles for a living. 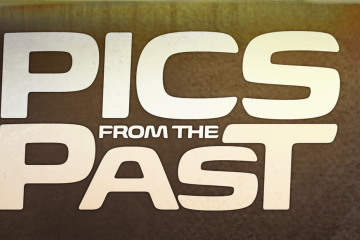 Though he was originally into rat rods, he caught the truck bug though Instagram. 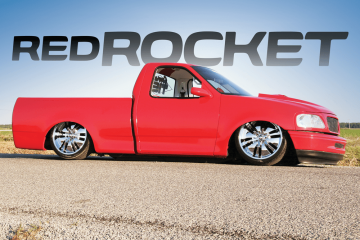 Blake hit the ground running, building three trucks in three months. Turning and burning them would best describe his initial venture into the truck realm. Stoner’s got some major recognition because of his efforts, which lead to bigger projects. 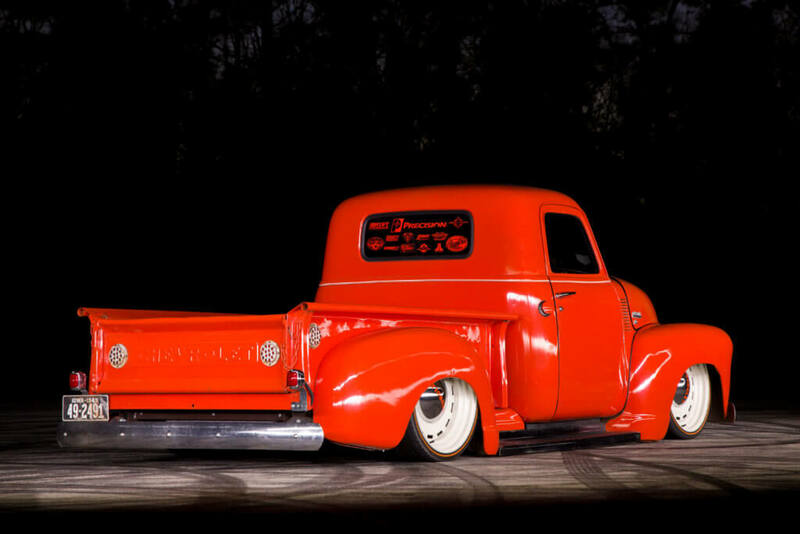 One of these big breaks came in the form of a ’49 GMC that Sam Castronova commissioned Blake to build for the 2015 SEMA Show. 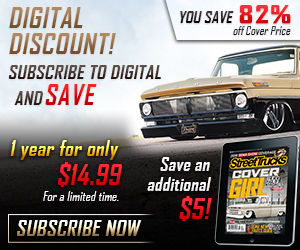 It was a patina truck build dubbed the OGMC and it even shared a spot on our August 2016 cover with Jeremy Rice’s ’49 Chevy. 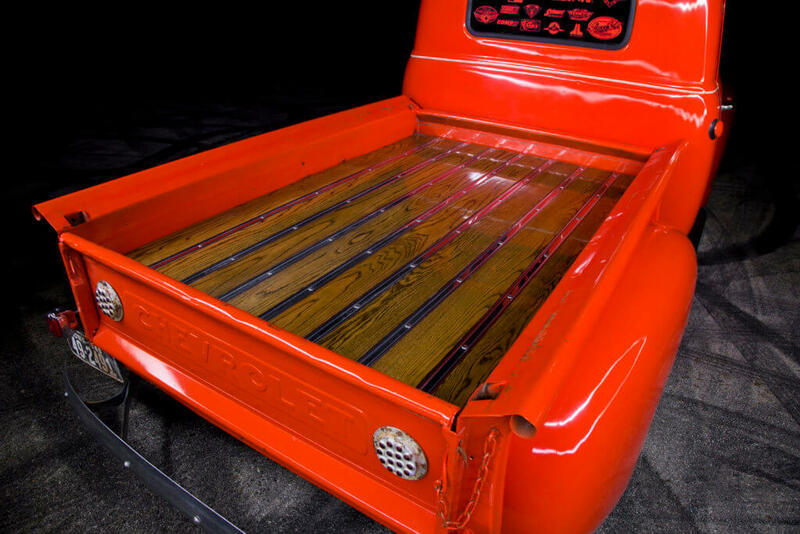 This salvaged 6.0L LS engine was given an old-school look with a stacked EFI unit from Inglese. The irony of Blake’s truck is that it looks like a beater on the outside, but it’s completely finished on the inside. 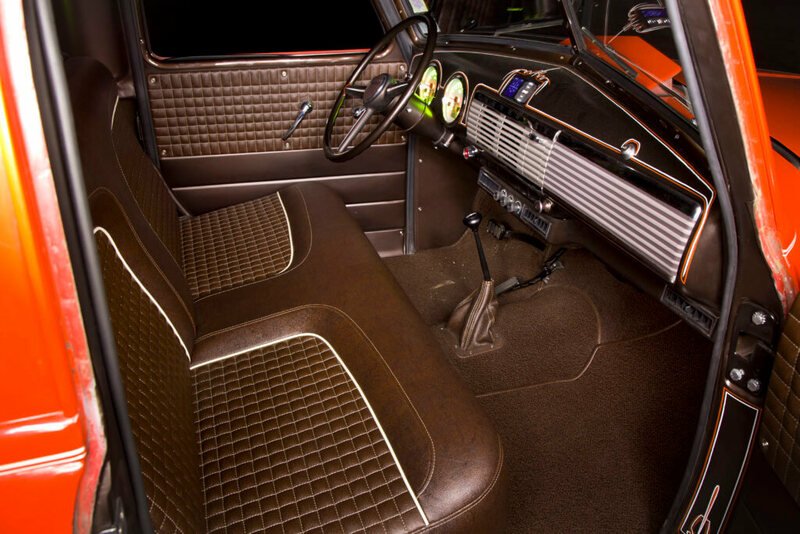 Boss Custom Interior dressed the seat with custom-made cushions and brown vinyl upholstery. 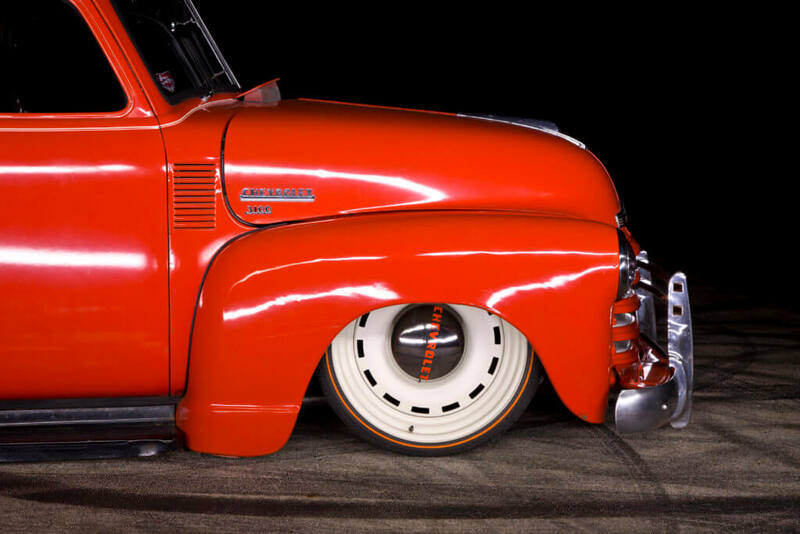 Yes, those are 22-inch one-off Detroit steel wheels stuffed under this ’49 Chevy. 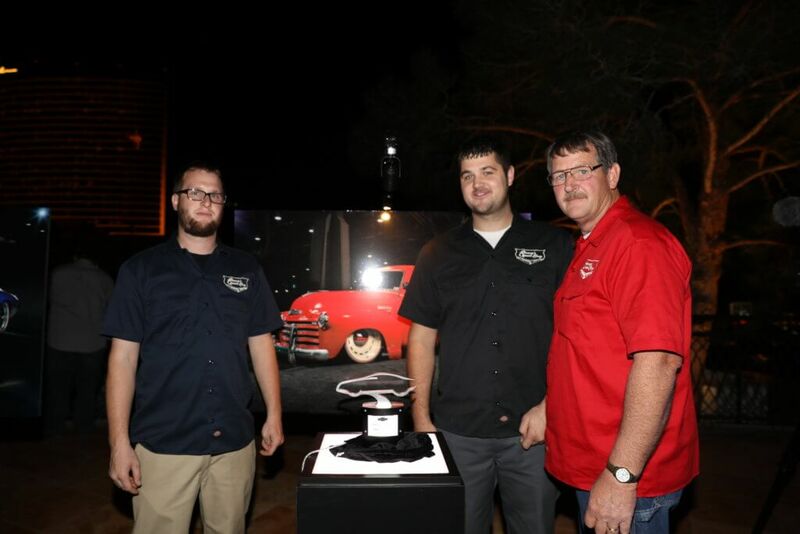 Blaker Stoner stands with his father (right) and Bob Fuller (left) as the Chevrolet People’s Choice Design Award was presented. While creating a smoke screen while doing donuts, the truck caught fire for a moment, but lived to tell to tale. The OGMC was an absolute hit, and Blake’s reputation preceded him from there on out. That’s when he got to thinking, what next? Blake needed a good follow up project to really solidify his reputation as a professional builder. Through a friend, he discovered a perfect barnyard find. 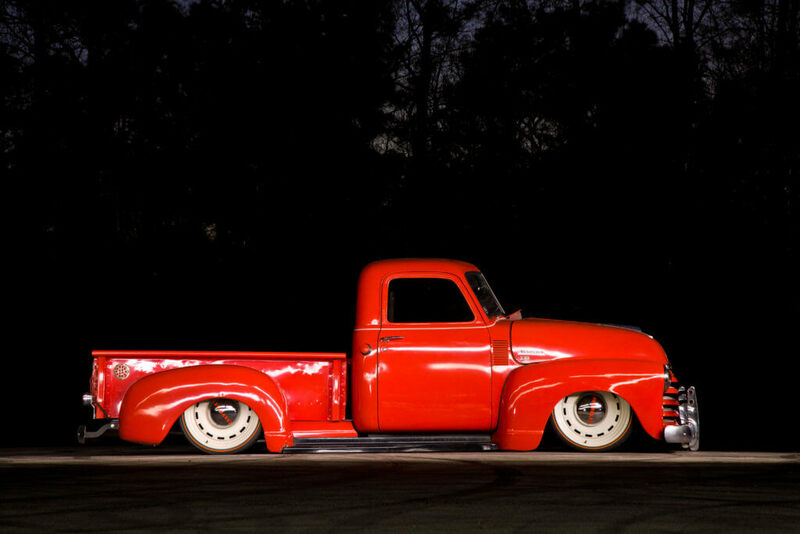 It was a ’49 Chevrolet Advance Design pickup that had an older red paint job. The truck was in great shape for its age, but the owner was asking way too much. After some negotiations, Blake was able to call the truck his own. 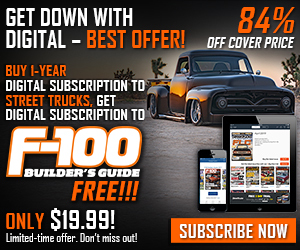 Now, this was early summer 2016, and Blake pushed off working on this new truck because it was loaded with mounds of rat crap inside, and the foul smell was enough to make anyone near ill. By the time midsummer rolled around, Blake was getting pushed to build the ’49 for the upcoming SEMA Show. With a few big names backing him and an indoor spot in the Precision Replacement Parts booth locked down, the race to the show was on. 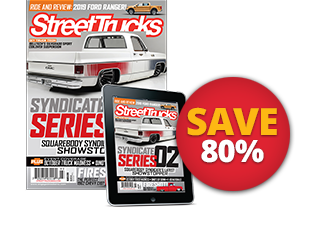 With the truck torn down, Blake started by mocking up the suspension to lay the truck out over a set of one-off 22×9-inch Detroit Steel Wheels with Diamondback Classics tires. The front was modernized with a Mustang II suspension from Street Rod Engineering and a Ridetech 4-link was utilized for the rear. Once set up, it was powder-coated brown to finish the airbagged chassis. Though the foundation of this truck was given a show-finish, the exterior remains the way it was when Blake first gazed upon it. The folks from Precision did make a trip to Stoner’s and even installed new glass and all new seals. From the get go, Blake wanted a setup that looked old school under the hood but with enough power to spin the rear tires. 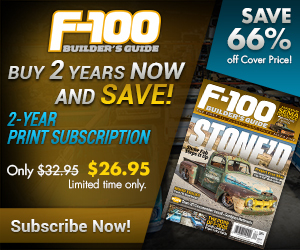 Doing so, he pulled a 6.0L LS with 4L60 from a 2003 Silverado. 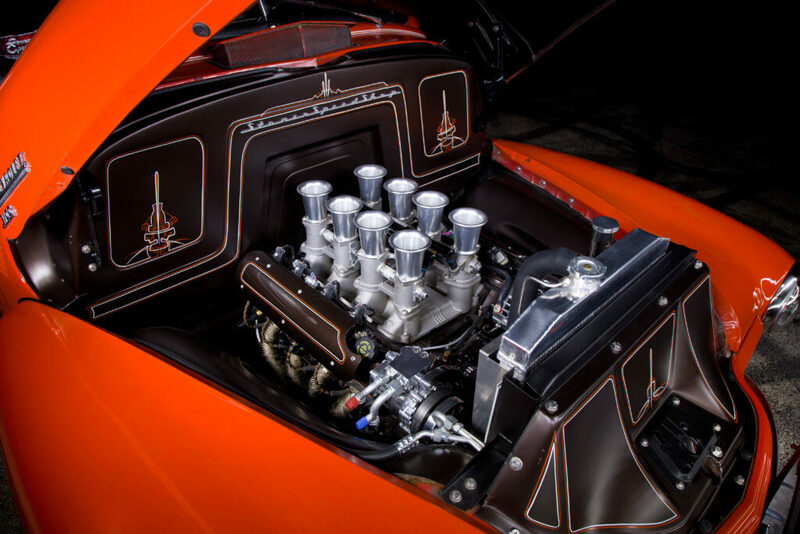 The transmission was rebuilt as the engine was dressed with an All American Billet Accessory drive kit and Inglese stacked EFI system. Transferring rotational force is a 9-inch rearend from Schwartz Performance with Eaton Truetrac limited-slip differential. Since the interior was gutted due to the rat infestation, a complete overhaul was needed. 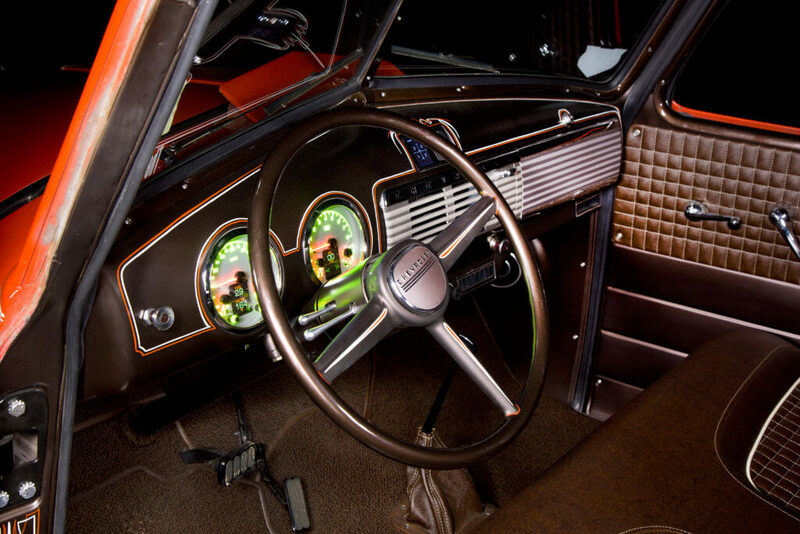 Starting with the dash, it was cleaned up and fitted with an Airlift 3H air ride controller and Dakota Digital HDX gauges. 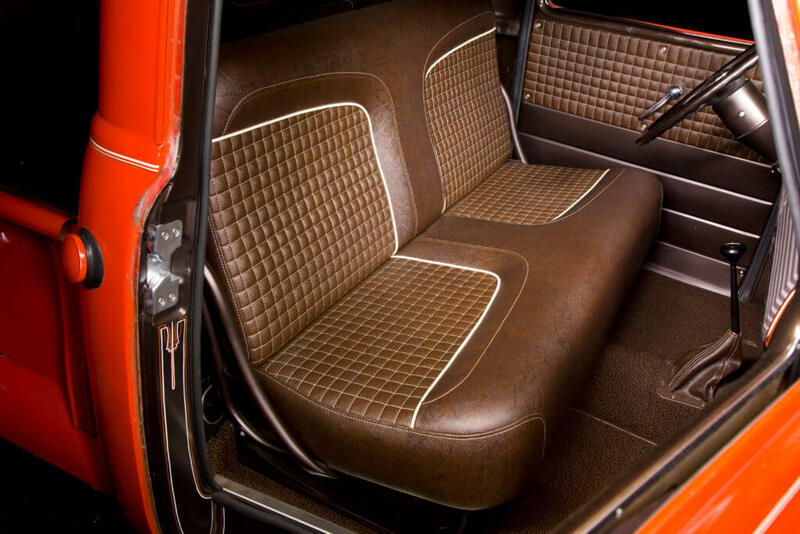 Then, Boss Custom Interior stepped in to create some seat cushions from scratch and upholstered it and the rest of the interior in brown vinyl. 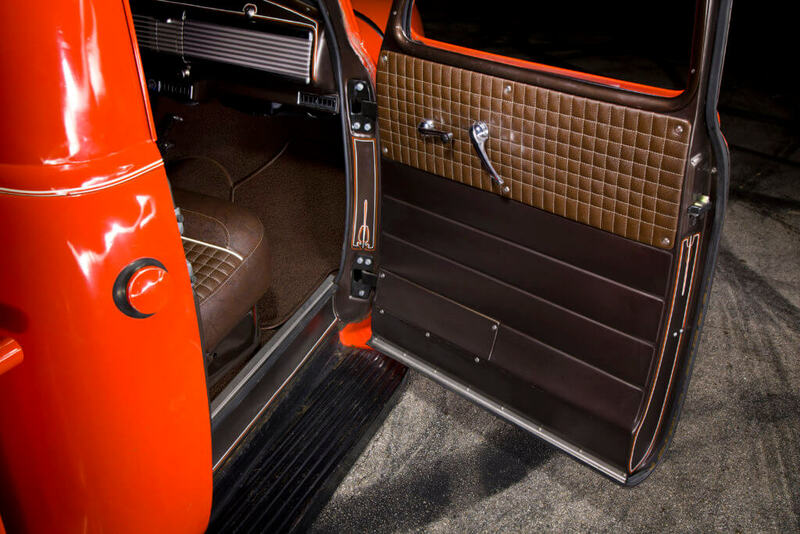 The floor was also carpeted by loop brown carpet, and a few billet parts from Lokar Performance Products add some extra shine. After a mad rush to complete the truck, Blake hauled it to Vegas for the big show. It captured the eyes of many onlookers and did its job to attract customers to the Precision booth. Though the best part about the whole ordeal was that the truck garnered some major attention, it became an even bigger deal when it was awarded a coveted Design Award directly from Chevrolet. There are only a handful of these given out at SEMA, and Blake Stoner walked away with one this past November. So what does one do after accomplishing such a feat? Enjoy the fruits of their labor of course. Blake is the type of guy that is in it for the love of trucks and is not afraid to put this truck to the test. 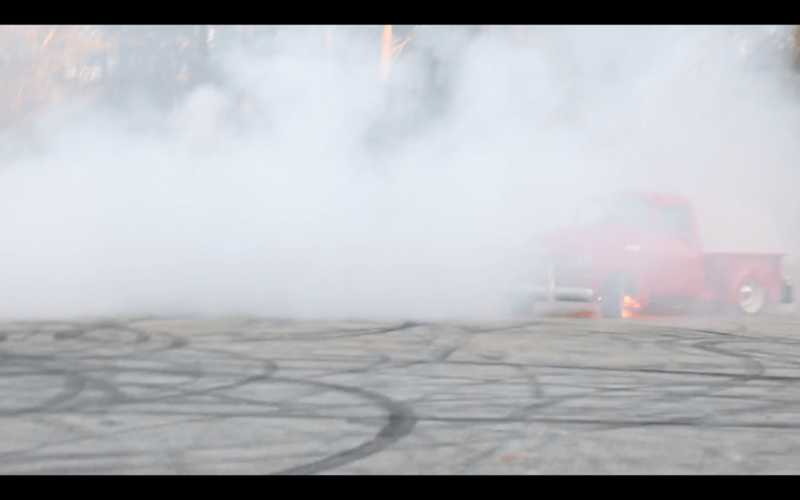 In fact, before our photoshoot with the truck, Blake decided to blow smoke by doing some mean donuts. Blake was fully prepared to run this truck into the ground, and it even caught fire for a moment. As everyone around yelled and screamed at Blake to shut the truck off, he continued to floor it. Once he came to a stop, Blake eased on over to open the hood and inspect the fire. It was quickly extinguished, and Blake showed no signs of concern. Luckily, we were able to nail down the shoot to show the truck in all of its glory. Blake may have started out with humble beginnings in a sleepy Midwest area, but he has surely built a name for himself. He even has plans for his next big project. If it’s anything like this truck, be prepared to wipe the drool from your chin. 26×9 One-off Steelies made by Detroit Steel Wheel Co.